Pass Plus & motorway training. My own experience as a road user includes the driving of cars, motorcycles, bicycles, lorries and even riding horses! This gives me a unique appreciation of the different points of view and expectations of other road users. I believe this wide experience in other vehicles gives me a unique method of teaching which really enables students to become safe drivers. I prefer a non-formal approach which makes for a relaxed atmosphere and this, coupled with my own natural patience, means I am extremely good with so-called 'nervous' drivers. In Control Driving School was established in 2003 and I have built an excellent reputation for providing a wide range of driving tuition in the Yeovil and Sherborne areas. I have a high pass rate for all of my first time learner drivers and I have a relaxed, informal, yet professional style which puts nervous drivers at their ease and makes the time spent on each lesson as effective as possible. InIn Control Driving School. 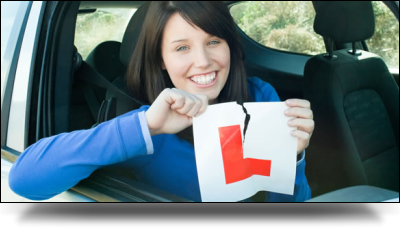 Driving lessons Yeovil. I n C o n t r o l D r i v i n g S c h o o l. Lessons. I n C o n t r o l D r i v i n g S c h o o l I n C o n t r o l D r i v i n g S c h o o l. D r i v i n g lessons. Lessons. somerset. D r i v i n g lessons with a female driving instructor. I n C o n t r o l D r i v i n g S c h o o l. f o r h i g h. f i r s t t i m e. p a s s r a t e s. E x p e r i e n c e d d r i v i n g i n s t u c t o r. f o r lessons i n yeovil. P a s s p l u s d r i v i n g lessons f o r e x p e r i e n c e d d r i v e r s. Driving lessons f o r n e r v o u s d r i v e r s. P a m w e s t. h a s a h i g h p a s s r a t e. f o r a l l o f m y f i r s t t i m e l e a r n e r d r i v e r s. A l s o. h a s a r e l a x e d. i n f o r m a l. y e t p r o f e s s i o n a l s t y l e. T h i s h e l p s p u t n e r v o u s d r i v e r s a t t h e i r e a s e. M a k e s t h e t i m e s p e n t o n e a c h l e s s o n a s e f f e c t i v e a s p o s s i b l e.